This image shows the Komet Hyakutake at the 28 March at 00:30 UT. 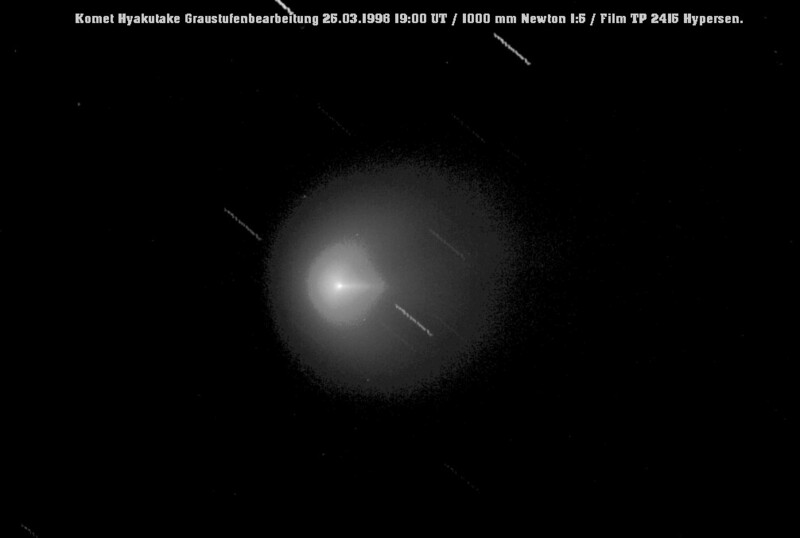 The Picture is lightning (Sorry, bad Englisch) 10 Minutes with a 8 Inch Newton, 1000 mm Vokal length. ( 1:5). The Film is an Kodak TP 2415 Hypersnsilibisiert. It was scanned with an HP Diascanner.